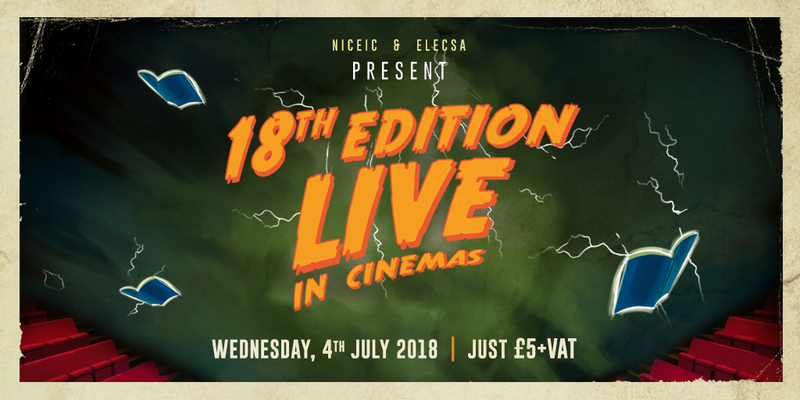 NICEIC and ELECSA are set to transmit a live talk on the 18th Edition, which will be beamed via satellite to 40 cinema screens simultaneously. The 18th Edition seminar will be broadcast from the Faraday Theatre, in The Royal Institution. Hosted by industry experts Darren Staniforth and Alan Wells, the talk will focus on the changes included in the new regulations and what it will mean for electricians in their day-to-day work. “When the 17th Edition was launched in 2008, a lot of industry myths emerged because multiple messages were communicated by different speakers. The advantage of broadcasting to all four corners of the UK on a single day is that we can communicate a single, consistent message to the industry,” commented Darren. There will be audience contributions from some leading names in the industry, including representatives from JPEL 64 and its sub-committees, who are responsible for writing the new regulations. NICEIC and ELECSA have partnered with Vue, Odeon, Showcase and Omniplex Cinemas to put on the 18th Edition event. The seminar will be broadcast live to over 40 screens across the UK with a full list of all participating cinemas available online. The live seminar and cinema event will take place from 9am on Wednesday, 4 July. Tickets to the cinema screenings are now on sale, costing £5+VAT. “The upcoming launch of the 18th Edition will be an important time for every electrician across the UK,” commented NICEIC and ELECSA’s marketing director Mark Smith.